Thank you sooooo much for doing what you do Lewis … and also for sharing with us news of places we’ll never see. There is so much “false information” given out by vested interests, that it is refreshing to hear what you are experiencing … and act accordingly. Bless you! Wow, great to hear of the newfound care for the environment in Russia, I hope the momentum increases and it becomes one of the greatest wilderness areas in the world to visit. Strongs with the work you are doing over there! Great article and sure hope and pray the threatening situation will be changed for the better for this wonderful Lake Baikal and all its amazing denizens, species, etc. Great! You are still swimming strong for good reasons. It took me 50 hours to get from my home in Cape Town, at the tip of Africa, to Lake Baikal on the eastern edge of Siberia. That might not seem much to Russians, who can travel 11 time zones without leaving their own country, but it was a major journey for me. And not just because of the distance. Let me start by saying that when I reached my destination, it did not disappoint. It was immediately clear to me why Lake Baikal is a UN World Heritage site; it is among the most beautiful places I have ever seen. So of course when I got there, I went for a swim. The water in the lake is so clear, I could see all the way to the bottom. Every time I raised my head to take a breath, I took in the forest on the shoreline. The season was just starting to turn, so the trees were a dazzling autumn palette of reds and oranges, yellows and browns. There was something else I could see out of the corner of my eye, at least at the start of the swim: the smokestacks of the factory that was recently decommissioned. 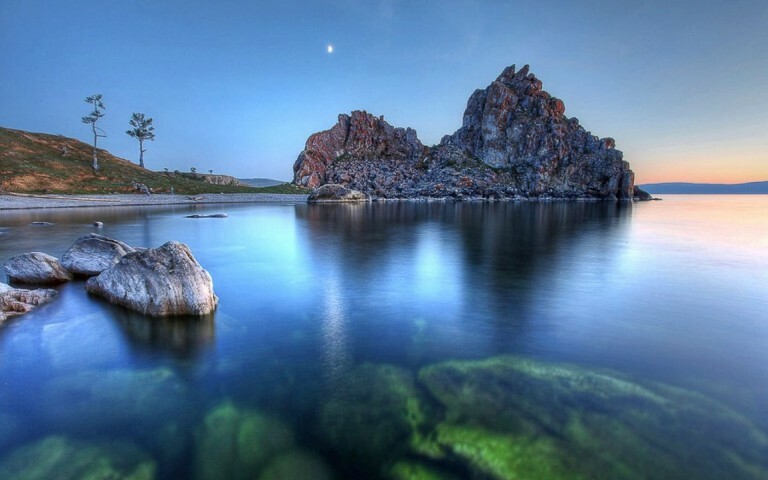 Lake Baikal is the world’s largest freshwater lake, and its deepest one. Until very recently it was also considered the world’s cleanest lake. But like so many bodies of water it, along with its unique ecosystem, is under threat. 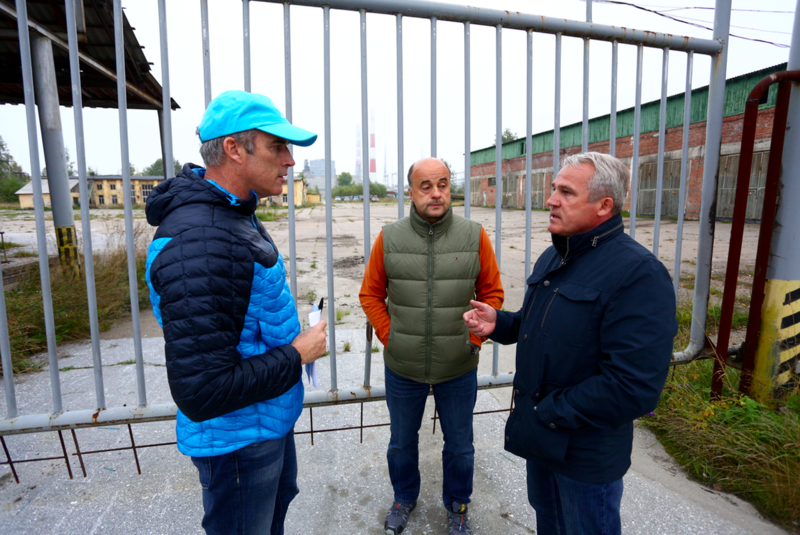 The Russian government had invited me here, as the UN Environment Patron of the Oceans, to visit the town of Baikalsk poised on the edge of big changes. And to see first hand the threats facing the lake. I was struck by how a few decades of human activity could damage something 25 million years old. The mill stood there, its rusty gates chained, its empty smokestacks sticking up into the sky. The lake still looked pristine – but it will take action to keep it that way. This ancient lake now faces climate change, an algae invasion, untreated sewerage, a proposed dam in neighbouring Mongolia, and potential contamination from the decommissioned paper mill. If that happens, the lake’s many endemic species, such as the world’s only freshwater seal, will be threatened too. As will the livelihoods of the people who call these shores their home. Ecotourism presents exciting possibilities for the region. Beyond the recreational opportunities for biking, hiking, skiing, skating, swimming and canoeing, there is the call of the wild. The world’s last pristine wilderness areas are disappearing at an alarming rate. They only become more valuable as they become more rare. Properly protected, Lake Baikal will provide its people with a lifeline. Without protection, the resource will disappear. The people of Baikalsk know this. They have realised a simple truth: protect nature and it will protect you. Baikalsk is strategically placed on the Trans-Siberian Railway. That’s not just good for future eco-tourism; it could also be great for international relations. 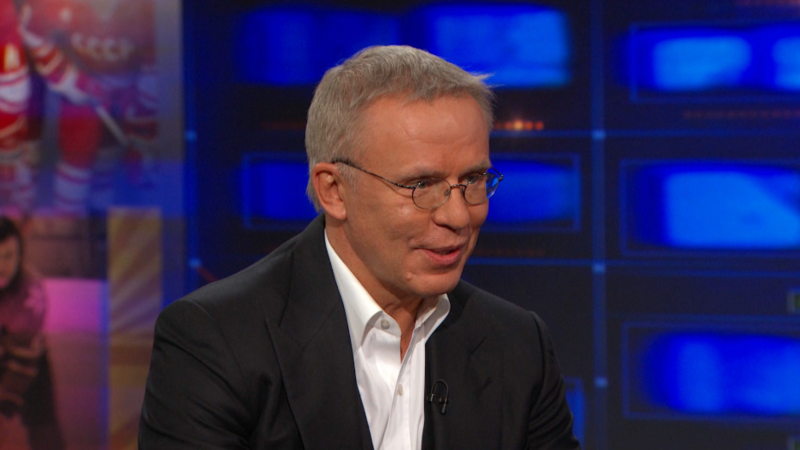 My good friend Slava Fetisov understands better than most the unifying power of sport and collective human endeavour. He remembers his surprise, while playing ice hockey in the US, at how different the perception of Russia was on the outside to the reality he knew back home. At a restaurant in Moscow, Slava shared his dream of bringing university students from all over the world to travel along the Trans-Siberian Express, from the Baltic Sea across the whole of Russia to the Pacific Ocean, interacting with local people along the way, learning from the wilderness from which we are becoming more and more alienated, bonding with each other, and realising that we have much more in common than what divides us. He wants them to be amazed by the magnificent Lake Baikal. Slava recognises that something powerful is happening in Russia right now. The environment is bringing people together. I’ve seen it too. I’ve been to Russia four times in the last 18 months, and witnessed what I’ve described in the media as an Environmental Glasnost. Everyone is talking about the environment, from Slava Fetisov to Sergei Ivanov, who invited me to meet with him at the new Ministry of Ecology in the Kremlin; from the people of Baikalsk to the young people in the streets of Moscow who now cite the environment among their top three concerns. The movement is building momentum. Last year Russia signed the Paris Climate Agreement. 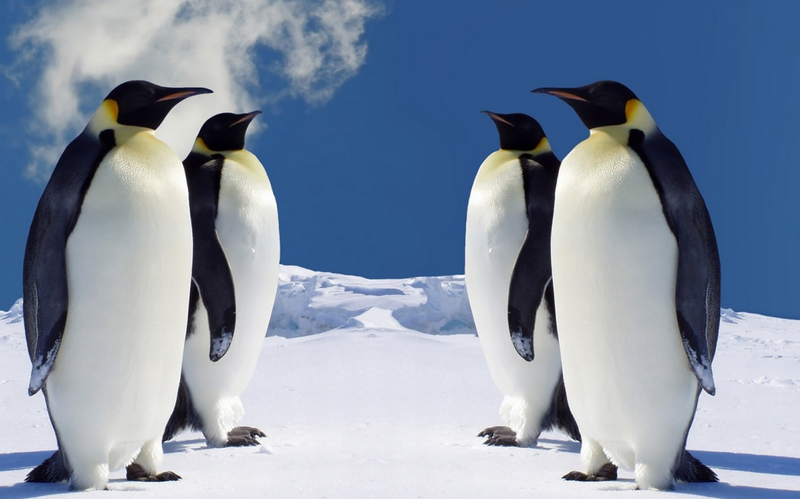 In February the Russian Patriarch visited Antarctica. In March it was announced that 2017 would be the Year of Ecology. A few months ago the vulnerable Arctic ecosystem around the Franz Josef Land archipelago was included in the Arktika National Park. Russia will shortly have the opportunity to sign an even bigger agreement, to make the Ross Sea into the biggest Marine Protected Area the world has ever seen. This last issue is close to my heart. The urgent need to protect this unique and precious ocean wilderness is the reason for my swims in Antarctica, and for my many visits to Moscow. Because, despite Russia’s great tradition of polar exploration at both ends of the earth, and despite the fact that it was a Russian, Admiral Bellingshausen, who first discovered Antarctica, Russia has rejected the move to protect the Ross Sea no fewer than five times. It is my sincere hope that this time, in the spirit of Environmental Glasnost, Russia will join the rest of the world in October by creating an MPA bigger than France, Germany and the United Kingdom all put together. Lake Baikal is the jewel in Russia’s wilderness crown. Russia has the power to protect it, and to make the Ross Sea the largest protected wilderness area in the world. If we don’t guard them both now we run the very real risk of losing them forever. But if we do, we’ll show that our actions speak much louder than our words. Sergei Ivanov knows this. Slava Fetisov knows this. The young people of Russia know this, and the inhabitants of Baikalsk know this. Protect your environment, and it will protect you.